Angel Orensanz Foundation. Michael Blaze Photography. October 2012. A perfect confluence of people, time and space. 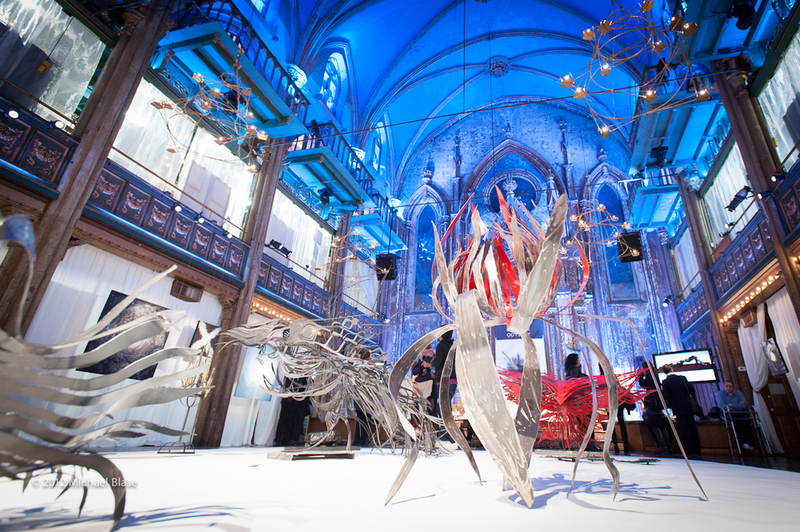 Fourteen years ago the Monaco artist, Caroline Bergonzi, moved to New York City where she was profoundly struck by Yoshi Amano’s exhibit at the reputable gothic revival Angel Orensanz Foundation. October 2012, Bergonzi, reveals an impressive retrospective and an art book, a piece by piece insightful testimony of an artist’s life. From her recent encounter with Al Orensanz the project emerged, as if meant to be. A pure moment of fine arts and magic, which includes her 39-feet long “Apocalypse” series, shipped from Monaco and displayed for the first time in the US, and a performance by Butoh Dancers of the Vangeline Theater.